Chrysler Brand has a deep-rooted and rich history that began in the 1920’s. It all began with Walter P. Chrysler who founded the company in 1925 to fulfill his dream of creating his own company. The brand has created nameplates that have made the brand the icon that it is today. Nameplates such as Airflow, Imperial, Chrysler Six, Town & Country, New Yorker and the 300. 2015 marks the 90th anniversary of the Chrysler brand that was founded in 1925 by Walter P. Chrysler. His vision was to create a line of vehicles that embodied affordable luxury and looked more expensive than they really were, as to keep them affordable to customers. He also wanted the vehicles to be excellently engineered and stylish. He really understood what customers of the time were looking for, and are still looking for today. In the 1920’s, Chrysler brought us the Chrysler Six which was the first Chrysler branded vehicle in the automotive industry. Priced at only $1565 and had technologies that no other competing car had seen, such as four wheel hydraulic brakes and an L-head 6 cylinder engine. The car was ahead of its time in technological advancements. The styling of the car made is even more appealing to customers. In the 1930’s, Chrysler fought through the great depression and continued to create well-made and affordable vehicles with its ever-growing technology that was still improving constantly. 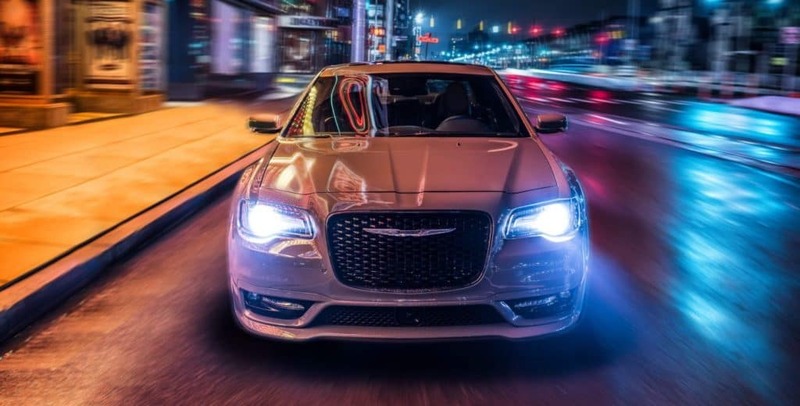 This is when Chrysler created its iconic “Floating Power” which meant that the vibrations from the engine were no longer touching the frame and vibrating the car as much, which made for a smoother ride. The Chrysler Airflow was also a product of the 1930’s, inspired by the Army Air Corps planes from the 20’s. It was through inspiration from the planes that Chrysler developed Wind Tunnel testing for the manufacturing ad creation of new vehicles. This testing gave them the tools to learn aerodynamics and were then able to come up with a more aerodynamic frame that was shaped like a teardrop. The engine was also pushed back further which was unlike any other car on the market at that time. In the 1940’s, Chrysler made the Thunderbolt and the wood-bodied town & country sedans and convertibles. These cars began to attract large amounts of attention from celebrities as the company gained popularity. In the 1950’s, Chrysler created the HEMI that we still see today, although maybe updated just a bit. In the 1960’s, new 300 models were being created. In the 1970’s, The muscle car era struck hard as this style of car began to make a big presence and was in high-demand. In the 1980’s, Chrysler had just come out of a hard financial crisis the company had to keep vehicles building basic and much like older models. During the 80’s, customers were given the “woody-wagon” which was the Chrysler LeBaron Town & Country. This vehicle was incredibly popular and truly spoke for the culture during that time. In the 1990’s, Chrysler brought to us its first minivan. In the 2000’s, Chrysler ended up merging with Daimler in order to grow the company and bring the two icon’s together to continue to roll out new and improved products. In the 2010’s, Chrysler had gone bankrupt and in order to save the company, it became Fiat Chrysler Automobiles, now owned by the famous, Italian Fiat brand.